Sixteen years ago, I resigned from a job with the dream of developing a teacher-training program in social-emotional learning (SEL). I’d wanted to be a peacemaker since the age of 10 and had been on a quest to find an effective method for embodying peace. In 1997, I’d learned about heart coherence from the HeartMath Institute, which was a major turning point toward my goal. I’d recently taken Nonviolent Communication (NVC) with Marshall Rosenberg and that was an eye-opener as well. Now, urged on by a whisper in my heart that said, “Teach peace in schools,” I’d taken a big risk — there was no income in sight. Could I really depend on that whisper? I was daydreaming on a comfy couch in my living room in Costa Rica when the next whisper caught my attention. It was an epiphany: combine the empathy I’d learned to access through NVC with the insight I’d learned to tap through HeartMath. I sat straight up, inspired, elated, and aware that this “heart mail” would change my entire life. Eventually, that “aha” resulted in the Connection Practice (empathy + insight = connection), the focus of my life’s work. Following my heart led to major funding from the United Way of Costa Rica, which helped us train over 1,500 teachers who can now pass this gift to their students each year. Later I was hired to teach the Connection Practice for credit at the United Nations University for Peace, a graduate school for international leaders. In 2009, I founded a U.S. nonprofit, Rasur Foundation International, to spread the Connection Practice globally through certified trainers. There’s no denying that financial sustainability has been a challenge for our nonprofit, yet by listening to the wisdom of the heart, we keep manifesting what is needed to move forward. Currently, the growing number of students with mental health issues is overwhelming our schools and there is clear evidence that too much screen time is contributing to these issues. Not long ago, a whisper in my heart said, “Manufacture Connection Practice magnetic boards. 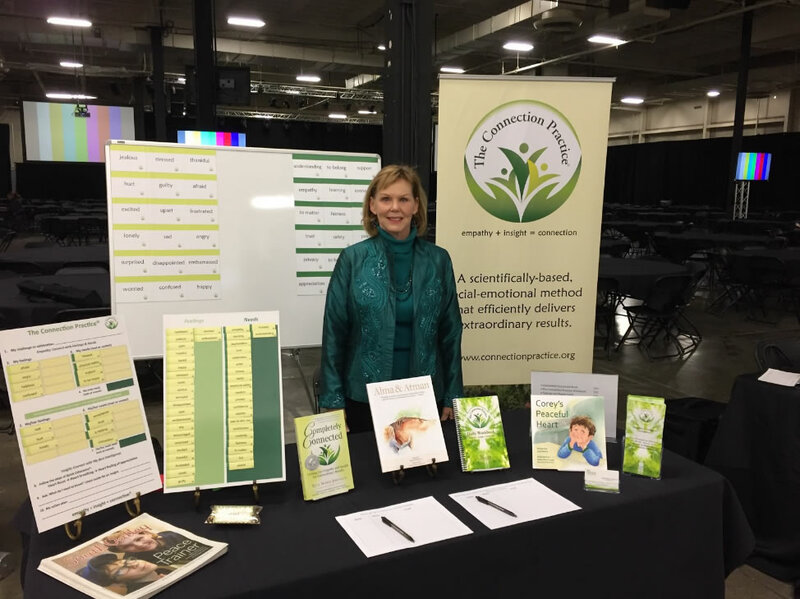 Guidance counselors can use them to teach students a tactile approach to solving their own problems.” I acted on that guidance, had a prototype made of the boards, and displayed them at an exhibit at a recent Student Mental Wellness Conference in California. The hundreds of guidance counselors there were drawn to the transformational possibility of the boards like bees to honey. I’ve continued to trust my heart in taking risks for the sake of teaching peace, and I find that financial sustainability follows. My intention is to see the Connection Practice taught to at-risk kids, integrated into classrooms and considered as essential as reading, writing, and math. When I’m clear on my intention and clearly envision my dream, those whispers guide my every step. I’ve shared anecdotes here from my own experiences; however, our Connection Practice trainers have equally remarkable stories to tell. 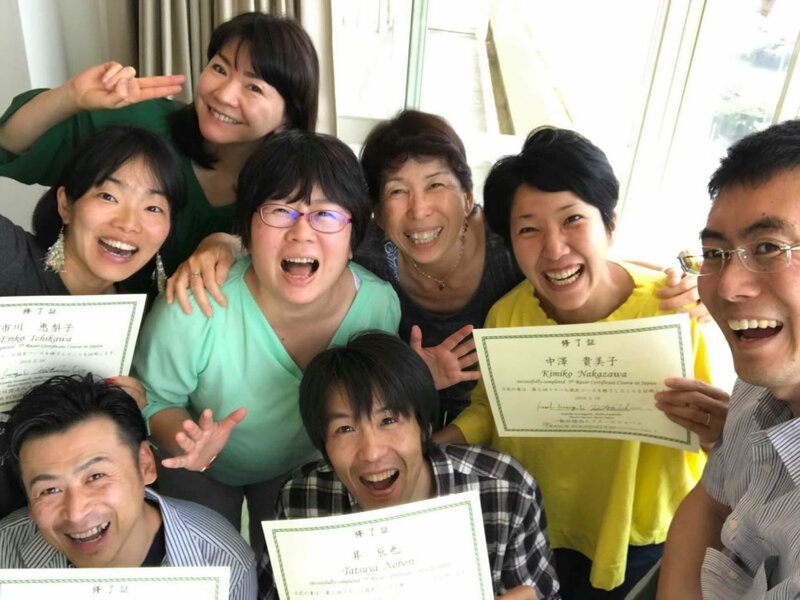 Kumiko Kawaguchi learned the Connection Practice in Japan and was certified as a trainer in 2015. Then she focused all her attention on teaching others (she’s pictured below in the center of the group). By following her heart, Kumiko started teaching in-person and online courses, writing a blog, and using social media, She now has over 300 fans. She also developed an internet radio program in which she interviews guests and continually shares from her own experience of using the Connection Practice. When I first met Kumiko, she didn’t make eye contact with me, she was continually distracted, and was frequently tired. I have witnessed her incredible transformation into a healthy, confident, masterful trainer who has created financial sustainability through the wisdom of her very own heart. It can be discouraging to work diligently for a better world and not achieve the financial sustainability you need. I’ve had many moments like that over the last 14 years of spreading the Connection Practice. When I get to that point, I know I need to get quieter and simpler, and strip away all that doesn’t matter until the one thing that matters most happens for me — I hear that whisper. 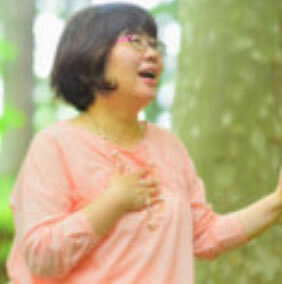 If you would like to learn how to hear that whisper, listen to this introduction or visit the Connection Practice website. 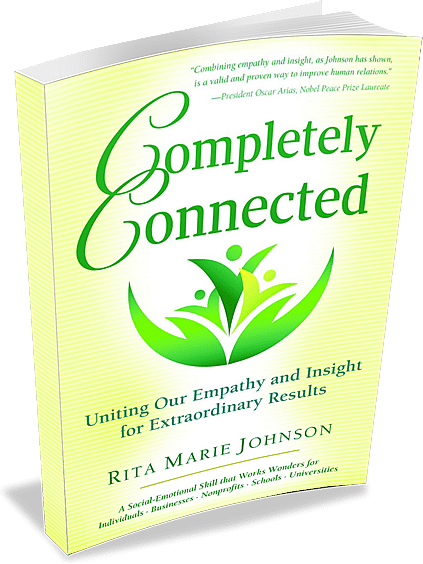 Rita Marie Johnson, bestselling author, international speaker and award-winning innovator, has taught the Connection Practice worldwide for over a decade. She first introduced it in Costa Rican public schools, where it continues to be used by teachers. Now it is taught in U.S. schools, addiction recovery centers, domestic violence centers, faith-based communities and businesses. 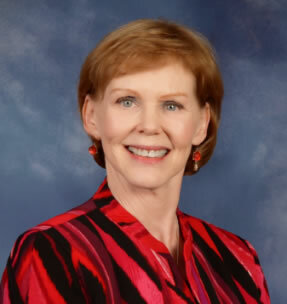 Beginning in 2010, Johnson taught the Connection Practice at the United Nations University for Peace, a graduate school for international leaders. Founder and CEO of Rasur Foundation International (RFI), Johnson is the author of Completely Connected: Uniting Our Empathy and Insight for Extraordinary Results, an Amazon bestseller in Conflict Resolution, Communication and Social Skills. It has been endorsed by Eileen Rockefeller and President Oscar Arias, Nobel Peace Prize Laureate. In 2016, the book won a Nautilus Award in the Psychology category. Johnson’s work brought her the Ashoka Changemakers Innovation Award: Building a More Ethical Society, chosen from 79 projects in 32 countries. Hey Buddy!, I found this information for you: "The Power of Insight". Here is the website link: https://connectionpractice.org/connection-practice/about/empathy/the-power-of-insight/. Thank you.